When I was a kid, my mother would make flounder and white rice for me. Unfortunately, I was an extremely picky eater back then and I’d refuse to try other kinds of seafood. Now that I’m older, my desire to experiment has grown exponentially and I want to share with you one of my favorite recipes: Seared Scallops with Herb-Butter Sauce. I’ve tweaked the recipe slightly; you can find the original recipe here. 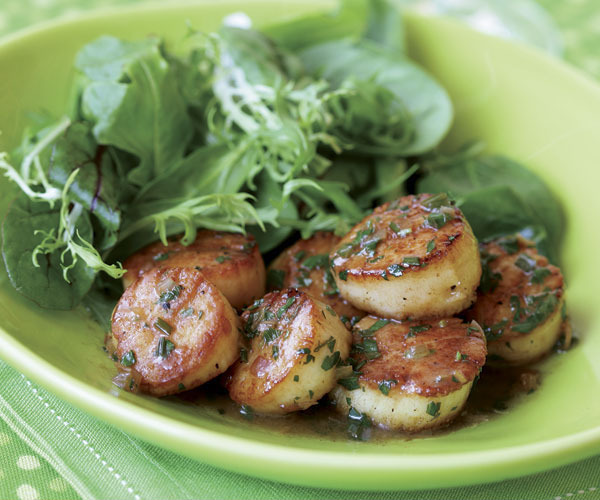 Quick tip: Chop your herbs and the shallot for the sauce before you start cooking the scallops. We all know how important it is to get a good night’s sleep to let our bodies heal itself from the wear and tear from that day. 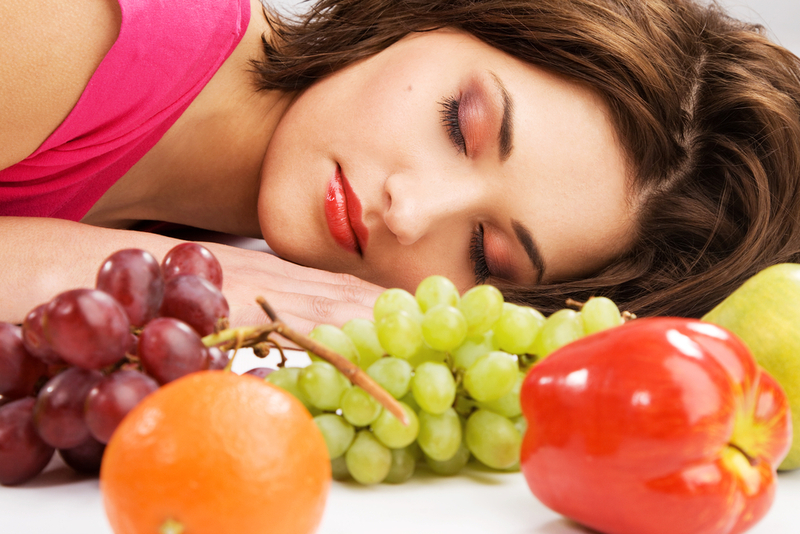 What we eat impacts how well we sleep. I’m sure there have been several studies on this, but I like to try things out for myself before I back anything… and those studies are TRUE!! When I ate junk like soda, Kraft macaroni & cheese, hamburgers, hot dogs, candy, and the like regularly I always had problems falling asleep for more than an hour at a time. Now, that I use simple ingredients in my recipes, I sleep like a baby and I can count on falling asleep at a specific time every night! I’ve done a little research and apparently all of the sugar and chemicals from the boxed crap we eat keeps us from falling into what science calls “Delta sleep.” WebMD defines “delta sleep” (link here) as a stage in the NREM (non-rapid eye movement) cycle where the body can repair/regenerate tissue, build bones/muscles and strengthen your immune system! So the next time you feel a little sleepy, listen to your body and take a quick nap! Greek Yogurt is a FANTASTIC substitute for fatty oils and butter! A few weeks ago, I was watching Dr. Oz and he was discussing how Greek yogurt is the best kind of yogurt you can include in your diet. It’s got a taste and texture that will take a while to get used to, but once you do, you’ll never want to eat any other kind of yogurt! Towards the end of the show, Dr. Oz had a guest explain how she substituted oils and fats in her favorite foods to make it healthier and much more flavorful. She had recipes for some of my favorite indulgences like chicken alfredo and brownies. A special thank you to Allyson for the neat conversion chart! I can’t wait to try this in some of my favorite recipes! A couple of weeks ago I tuned into Bethenny and I was intrigued by her “Diet Debate” segment. She had invited Dolvett Quince from The Biggest Loser to talk about his program, the 3-1-2-1 Diet. 3-1-2-1 is a nice twist on the principle that any changes you make to the way you eat shouldn’t be temporary – 3-1-2-1 adds up to seven (it took me a few minutes to figure that out because I missed the beginning of the segment where he explained the title 🙂 ), but I digress. 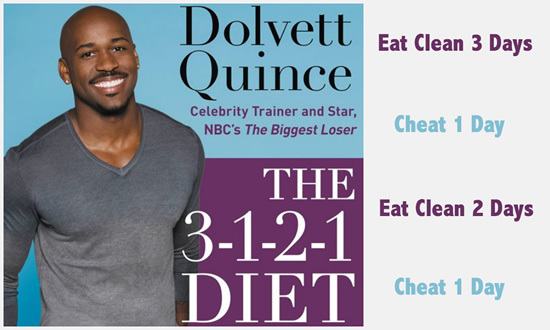 Dolvett’s new method reveals how we can eat and cheat our way to lose excess weight (10 pounds in 3 weeks!). 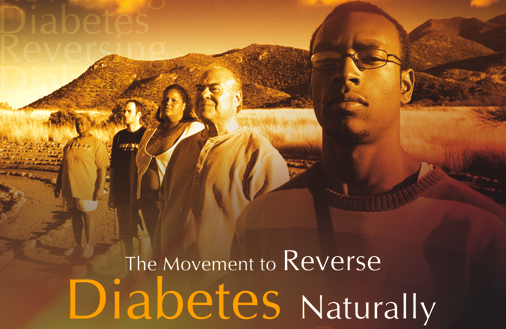 It’s a simple principle of body confusion when we reduce our caloric intake. As we all know, the first few weeks of a new diet are fantastic because we are dedicated and we’re seeing results quickly. After a few months, the exasperating plateaus start to kick in and make most of us give up. This diet is amazing because it borrows from the principle workout rule: you have to constantly change up how you work out to keep seeing results. Our metabolisms are the same way. When we eat the same things over and over and over again, our bodies get used to breaking down those foods and go out of whack when we give ourselves a break and indulge. Dolvett recommends that you eat the “clean” foods like greens, lean meats, or legumes and indulge for:3 days (clean), 1 day (indulge), 2 days (clean), 1 day (indulge). At the beginning Dolvett stresses the importance of counting all of your calories. Bethenny instantly challenged him by saying that the constant counting will drive a person insane and that we need to escape from that prison. However, when Dolvett agreed that the constant counting is infuriating and explained that the emphasis on counting was just a tool to help you build a solid foundation of what good calories and dense calories are, Bethenny lit up with excitement. Good calories include lean chicken breasts, fish, veggies, egg whites, and so on. Dense calories simply refers to eating foods like spinach because you can eat 2 cups of spinach and use less than 100 of your allotted calories for the day and spinach is packed with vitamins and antioxidants and minerals that will make you healthier long after you finish your meal. I wholeheartedly agree with Dolvett’s assertion that calorie counting is a great foundation builder, but I’d also add that you should find an accountability partner that you can talk to. This partner can call you out (lovingly!) when the tool is becoming an obsession. I should point out that Dolvett also included a workout routine to compliment his diet advice, but I didn’t really care for the exercises he recommends. As a kid, I remember being addicted to fast food joints like McDonald’s and Taco Bell. One of my favorite things from Taco Bell was their beef tacos. Now that I’m almost 30, I want to pass on healthier recipes to my friends and family. 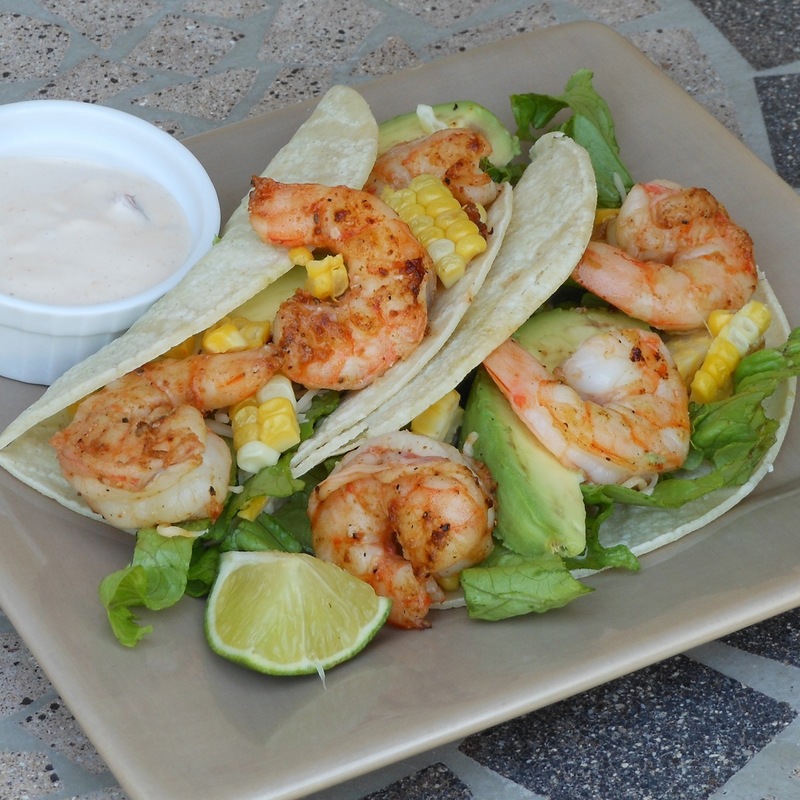 This is my basic taco recipe, but you can make enchiladas, empanadas, etc. the same way! Warm up the tortillas in a 2nd saute pan → put water in the pan, place it on a low simmer and let the tortilla sit in the warm water. Plate up the tortillas, veggies, and ground beef and ENJOY!!! 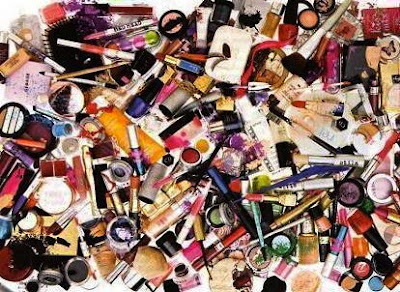 With so many different brands and types of makeup that are available, it’s very easy to become intimidated and dismiss makeup as a false construct that exists only to help men objectify all of us, but it’s actually one of our best friends in the quest to embrace, develop and maintain our Aphrodite Attitudes! Think about it for a second… Aphrodite would NEVER allow the crazy stuff that’s in our air like car exhaust, pollen and dust near her face, so why should we?! Thankfully, more and more women are adopting that mentality. I don’t know about you, but I could watch QVC for hours, especially when they are spotlighting Bare Escentuals, Mally Beauty, Josie Maran or Laura Geller. These brands blended my long-time passion for great skin care with my new love of makeup. Josie Maran, for example, is known for having high quality argan oil infused into all of her cosmetics. Bare Escentuals has been my preferred makeup for about five years now and I thinks it’s a great brand to start with if you are just starting to play with makeup. The minerals are very pigment rich so less is definitely more! A second reason Bare Escentuals is perfect for makeup novice is that many of their kits come with instructional DVDs that will teach you the basics and help you master classic trends like the smoky eye. As much as I am in love with Bare Escentuals, I’m ready to branch out and try other brands.